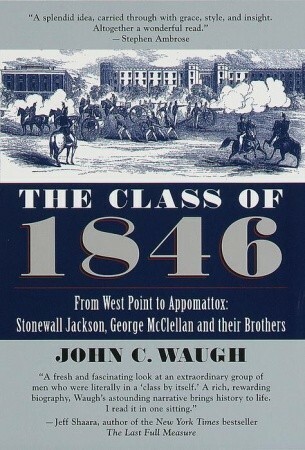 No single group of men at West Point--or possibly any academy--has been so indelibly written into history as the class of 1846. The names are legendary: Thomas "Stonewall" Jackson, George B. McClellan, Ambrose Powell Hill, Darius Nash Couch, George Edward Pickett, Cadmus Marcellus Wilcox, and George Stoneman. The class fought in three wars, produced twenty generals, and left the nation a lasting legacy of bravery, brilliance, and bloodshed. This fascinating, remarkably intimate chronicle traces the lives of these unforgettable men--their training, their personalities, and the events in which they made their names and met their fates. Drawing on letters, diaries, and personal accounts, John C. Waugh has written a collective biography of masterful proportions, as vivid and engrossing as fiction in its re-creation of these brilliant figures and their pivotal roles in American history. The United States Military Academy has been established at West Point on the Hudson River to train officers for the U.S. Army for more than two centuries. Stonewall Jackson, one of the Confederacy's most able generals, was killed by friendly fire during the battle of Chancellorsville. George B. McClellan was a commander of the Union forces in the early part of the Civil War, much criticized for his extreme caution. The Mexican-American War was widely unpopular at home and gained vast new territories while leaving domestic issues like slavery unsettled.